AP: Hi, Dave. It’s a real pleasure to have you here on Adventure’s Planet, the italian platform dedicated to the most adventurous games in the entertainment scene! Can you introduce yourself briefly to our intrepid readers? Dave: Sure! Hi, I am Dave. I am 39 and I live in Brooklyn, NY. I started Wadjet Eye when I was 30, and was later joined by my wife Janet and daughter Eve. Eve is two, so she hasn't contributed much yet. But it's only a matter of time. 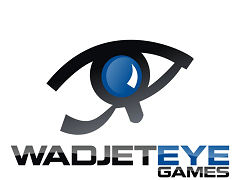 AP: Wadjet Eye Games began as a little independent studio, but it was able to conquer an important spot nevertheless, even publishing other developers’ titles. What do you think about the indie phenomenon which invaded – and still invades – the market? Dave: I wouldn't say that the indie phenomenon invaded the market, so much as created it. 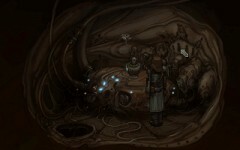 It's not just point-and-click adventure games that have "come back from the dead." You've got platformers, shmups, roguelikes, real time strategy - all of which were considered "dead" genres by many. The rise of indie developers brought back all sorts of old genres, point-and-click adventures included. AP: Italy is full of talented youngsters eager to follow your steps. Any advice for them? Dave: START SMALL. I can't stress that enough. Back when I first started, I was only capable of making small games over a very short timeframe, so that's what I did. As I got more experience, I grew in confidence and ability and was able to tackle bigger projects. My next project (Unavowed) is probably the most ambitious, most complex game I've ever done. There's no WAY I could have made it back in 2006 when I had zero experience under my belt. But now? I think I'm ready. AP: Speaking about Wadjet Eyes’ works, it is undeniable that your most distinguishing mark is the pixel-art based graphics. How come you took this stylistic decision? And what does such a choice imply as far as advantages/disadvantages go? Dave: At first, this was a budget choice more than anything else. Pixel art was cheaper to produce and could be made much quicker. But as we've done more games, I've grown to appreciate the style and what we can do with it. I know how much it'll cost, how much time it will take to make, and roughly what we can expect to earn back from it. Pumping up our resolution would increase our budget by a LOT, and I am not entirely sure that our profits would rise to match. So I stick with what I know. AP: Wadjet’s catalogue boasts many titles appreciated by the public, but it lacks of an italian localisation which undermines its success in our Beautiful Country. I’m thinking about titles such as Primordia, with particularly difficult texts for those who don’t get along with english. Given your growing success, haven’t you considered expanding localisation to other languages? Dave: We have, and sadly our experiences with localizations have not been terribly good. We translated Gemini Rue into German, partnering with one of the biggest adventure game publishers in that country. Our best seller, translated into the language of the biggest market for adventure games, spearheaded by the biggest company in that market? It sounded like a sure bet. Sadly, it barely earned us a dime. Ironically enough, the more text you have in your game the longer and more complicated the task is. Plus, Adventure Game Studio (the engine we use) is notoriously translation-unfriendly. So for these reasons, we decided that translating our games just simply wasn't worth it. I know this disappoints a lot of people, but as a tiny company we have to be very careful where we spend our time, money and resources. We can't bounce back from a financial loss like bigger companies can. So we need to make decisions like this. AP: In the last few years we’ve witnessed an increase in fan-made localisations, often carried out without retribution. Do you think this phenomenon could negatively affect the distribution market? Dave: I don't see why it would. As I said before, there are reasons why a company can't or won't do a localization of their game. Whether or not they allow fan localizations is up to them. Personally, I don't mind it as long as there's no piracy involved. AP: You recently published Technobabylon, which is receiving positive feedback from the critics. Does this success translate into a good response from the market? Notably, which geographical areas are more responsive to your products? Dave: The market is MUCH different then it was a few years ago. Whereas in 2012-2013 you could count on a well-received title selling a lot in its first month, you can't rely on that anymore. Back in 2012, the players' response to a good game would often be "Hey this game looks great! I'll buy it right away!" These days, the response is often "Hey this game looks great! I'll buy it when I finish the 50 unplayed games I have in my Steam library, or maybe when it's on sale." This has led a lot of developers to give up on their game and call it a failure within a few weeks of launch. That's a mistake. A good game is a good game. While Technobabylon didn't break any sales records in its first month, it's selling very strongly and very steadily and shows no signs of stopping. We have no complaints. AP: A personal question: when you’re not working on Wadjet’s games, what do you do? Is there a software house you particularly like? Dave: I have a two-year-old at home, so my off hours are typically spent with her. I'm working fewer hours now that I'm a dad, and not working weekends or late nights anymore, but I wouldn't have it any other way right now. 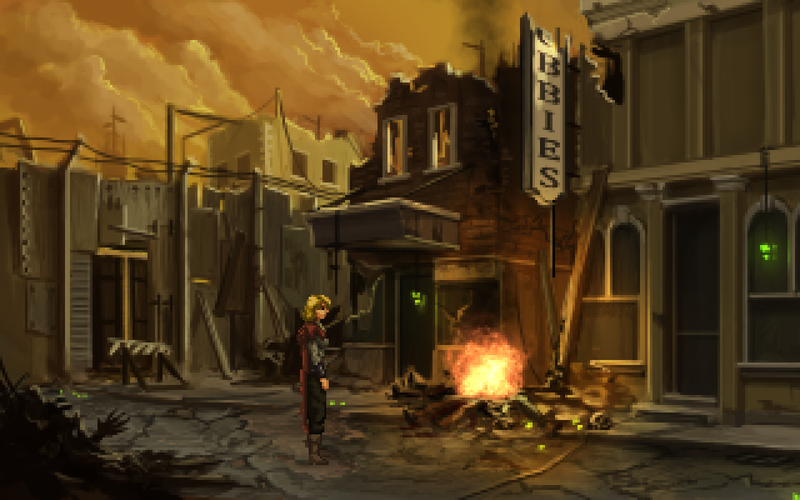 AP: Let’s leave the past and the present aside and let’s move to the future: Spring 2016, Shardlight. Tell us everything you can about your upcoming project! 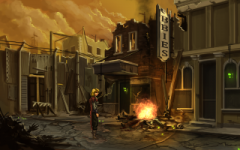 Dave: Shardlight is about a young woman named Amy living in a post-apocalyptic future, who has contracted a fatal disease and is trying to find a cure before she dies. 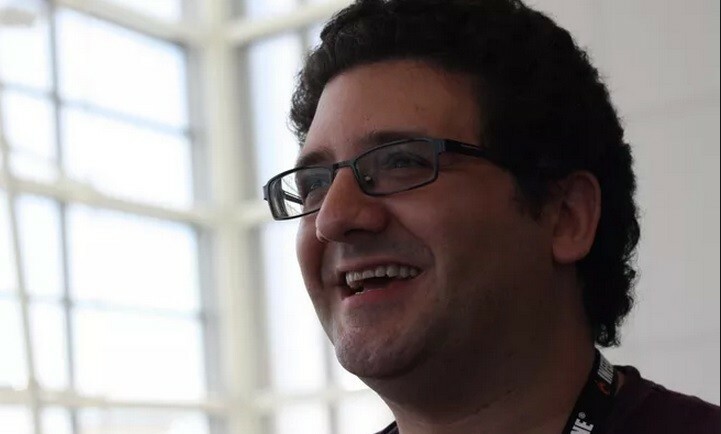 The game's designer is Francisco Gonzalez – designer of A Golden Wake, which Wadjet Eye published last year. He's now a full-time Wadjet Eye employee, which means Shardlight is our first fully in-house project that is not written by me. So I've been pretty hands-off, albeit an executive meddler from time to time. We have just finished recording all the voice acting for it, and are finishing up the final art assets. All that's left is the testing and polishing. AP: Let’s go beyond Spring 2016. Is there any unknown project on the horizon you can talk about? Dave: Yep! For a long, long time I've been inspired by Dresden Files and Hellblazers and have been itching to do a really dark urban fantasy. So that's what I'm doing next. It's called "Unavowed" and we have just finished the pre-production stage. The project became so big (and I was very distracted with Shardlight and Technobabylon and the whole "raising a child" thing) that I teamed up with my childhood friend and former Bioware writer Jen Hepler to help finish it up. We've been collaborating on it for the last five months or so and it's been great fun. I'm quite eager to talk more about it after Shardlight wraps up. AP: Being a fan of the Blackwell series I can only ask: will there ever be a game tied to that universe, not necessarily a sequel? Dave: Unavowed will be in the same "universe" as Blackwell. It will take place in New York again, so some familiar faces will appear. AP: Thank you so much for the time you dedicated to Adventure’s Planet and to our readers! Dave: You are very welcome!